1. The USB3.0 pot of this product supports Max.5V 900mAh total charging output. 2.For stable connection, connect a power adapter to the hub when using high-power devices. 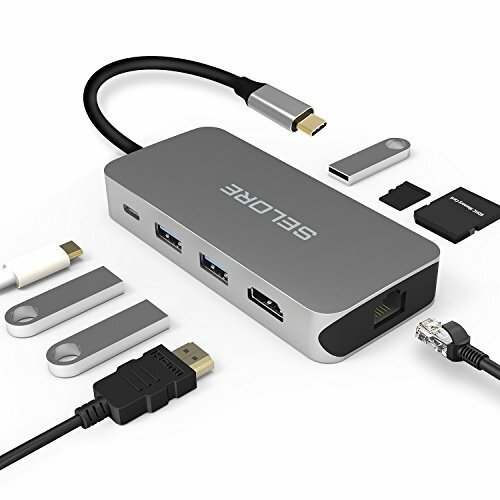 3.The USB-C female port of this product is only for charging USB-C laptops whose USB-C port supports USB Power Delivery (PD) and does not support data transfer. 4.A4K-capable display and HDMl cable are required to achieve 3840x2160 resolution.